Alcohol companies employ many tactics to keep drinking and alcohol use in everybody’s minds. Some of them might surprise you. Alcohol companies (known as Big Alcohol) keep targets constantly in their sights, marketing specifically to youth, the LGBTQ community, women and people of color. It’s a tactic to ensure that alcohol advertising appears in every aspect of the lives of people in all communities. As Alcohol Justice reports, Big Alcohol must keep marketing at saturation levels in order to keep alcohol sales a multi-billion dollar business in our country. Targeting to these communities is not the only tactic. Alcohol companies also put a significant amount of money and resources toward philanthropy. While this can seem like a harmless or selfless gesture, this tactic gets Big Alcohol a lot of press and allows them to focus on education as the solution to alcohol problems. Often, philanthropic support comes with a big price tag. 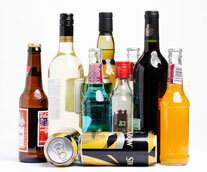 Alcohol Justice also explores other Big Alcohol tactics, such as responsibility campaigns, the health argument and more. Read more about Big Alcohol industry tactics at AlcoholJustice.org.